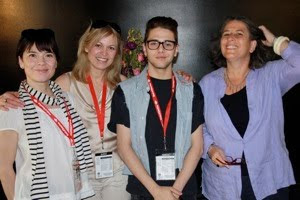 Who hasn't heard about the meteoric rise to notoriety of Xavier Dolan, the Québécois teenager whose first feature film J'ai tué ma mère (I Killed My Mother, 2009) received—not only an eight-minute standing ovation at the 2009 Cannes Film Festival—but, three awards from Cannes' Director's Fortnight? Festival audiences have embraced the energy and evident promise in Dolan's film, which has earned nominations and awards worldwide. 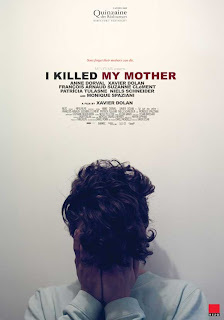 I Killed My Mother arrived at PSIFF10 as Canada's submission for Best Foreign Language film at the 82nd Academy Awards®. Although it did not make the Oscars® shortlist, it did garner Anne Dorval PSIFF10's FIPRESCI Award for Best Actress "for her nuanced performance as a bruised and bruising matriarch mired in love/hate land with her teenage son." Michael Guillén: As such a young artist, how are you coping with so much notoriety suddenly thrust on you with your first feature film? How is that feeling for you? 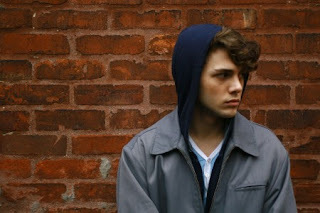 Xavier Dolan: It makes me nervous somehow. And some days I think that I don't have the energy nor the talent to deal with this. But then when you're in a group like this with your friends and traveling, you realize there is a total other side to the media experience, there are audiences that ask great questions and interesting things to those activities. Another thing too is that sometimes I question the enthusiasm around the movie. I wonder if the movie is being appreciated? Or if it's only because when I did it I was kind of young? Those are the interrogations through which I go some days. There are all kinds of questions and neuroses you get to deal with. But I think it's not so bad being selected in festivals. I think it's good. Dolan: This film is actually inspired by and adapted from a novella that I had written when I was 16 in college. I had just dropped out of CEGEP, which is kind of equivalent to junior college here in the States. I had nothing to do but kill time and write movies so I wrote this film. I thought it would be irrelevant and of no interest to anyone because it was too personal and nobody would really care about it. So I put it back in a drawer and worked on other very bad screenplays, which unfortunately the actors had to read. Finally, I understood that I was working on those vainly so I took back I Killed My Mother and gave it to a friend who plays the teacher in the movie and she told me it could be worth investing time and energy into. That's basically how it all started. Then, of course, I thought I could play the lead because it's my story. When I wrote it, I thought maybe it would be the occasion to finally act. Originally I'm an actor; but, for years all my auditions resulted in the same broken record saying: "Too young, too old, too small, too tall" so I didn't act anymore and I missed that a lot. Dolan: I have a lot of influences, but for this film I don't know if there are so many references I can give. I guess that I thought My Own Private Idaho would be something I would want to pay tribute to. It's not so obvious. The stories are not so similar. But the Super 8 images that you saw at the end, I had seen that bit in My Own Private Idaho and I thought it could be a nice way to end the movie. Other than that? I admire a lot of people; I admire Truffaut, Godard, Bergman. I don't think my movie is like their's. It's just a personal story. It's not really into homage, tributes or references. Dolan: I knew Anne [Dorval] and she had read several scripts that I had written that were not good. I came one day and said, "Listen, I know that you've read many things that were not essentially ready or fine-tuned; but, I have this screenplay that I just wrote and if you could take a look at it, that would be great." I met Patricia [Tulasne] on a movie that we shot together as actors, which was a terrible experience. She was my mother in that movie and we were killed with a shotgun. We had squibs and blood and all the blood was getting into my hair and it was horrible. The director was French and he was horrible. 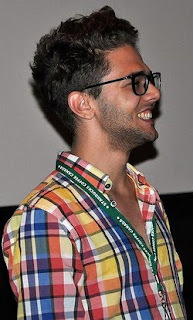 I met François [Arnaud] because he is a young actor from my generation. I saw a play in Montreal in which he had a role. That's basically how we came together. It's a rather stirring story for me because the project was refused by many people. It traveled from offices to offices, and to reviewers who didn't really believe in the film and didn't believe this would happen; but, some people never really left and always remained faithful throughout the experience, my best friends, the actors who were always there, and the producers. 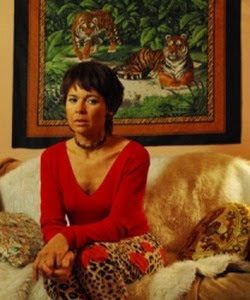 Anne Dorval: It was not just a guy who was 17 years old. He knew exactly what he wanted. It's easy when you meet people like him to abandon yourself. To let go of your fears. Patricia Tulasne: He was really open to suggestions. If you had something to say, to propose, he was really open. It was easy to work with him. You were in coalition. We don't feel the difference of age. François Arnaud: I'm not an actress. Dolan: Yes, they did. And they said, "Congratulations." My father is very proud and says out loud, "I'm not like this in real life." And he's right. My mother says that too, "I'm not like this in real life" and she's wrong. [Laughter.] Vengeance! She saw the film. There weren't a lot of words. We didn't get into an extensive conversation about it. She said, "I loved it. I cried and I laughed" and that's a great reaction: laughing and crying. It's what's expected. But we really didn't talk about it. Was she insulted? No. Well, maybe. Yes? Like I said, we didn't talk about it. I think time has to pass before we can reach that step of communication of talking about it as a work of art. We have to wait. 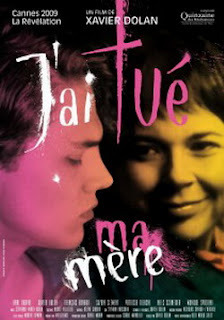 02/04/10 UPDATE: As reported at indieWIRE, the young people's jury of the International Film Festival Rotterdam (IFFR) awarded the MovieSquad IFFR 2010 Award to Canadian Xavier Dolan's debut feature J’ai Tué Ma Mère. The award comes along with $2,000 to spend on promoting the film within the Netherlands.